Gen Buhari has been declared winner of the presidential election in Kogi state. Buhari pulled 264,851 votes out of the 439,287 votes that was cast in the state. President Jonathan pulled 149,987 votes. Gen Buhari won in 15 of the 21 LGAs of the state while President Jonathan won in 6 LGAs. In terms of percentage, Gen Buhari had 60.3% votes while President Jonathan had 34.1% votes. 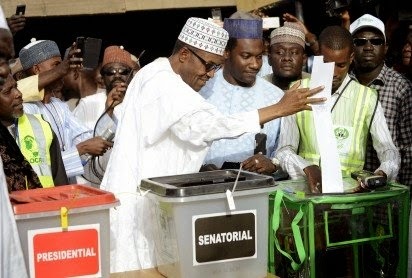 Also, Buhari has also been declared the winner of the Presidential election in Jigawa state. Gen. Buhari pulled a total of 885, 988 votes while President Jonathan pulled a total of 143, 904 votes.